In a span of three weeks, we’ve gone from conference tournaments to entering the Final Four. As the teams dwindle the need to hone in prime players in a smaller pool is vital in DFS. 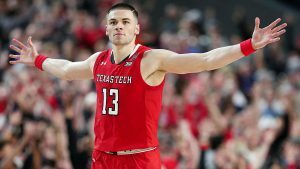 Zack focuses on both of Sunday’s Elite 8 matchups on player DFS targets. What is well known in Vegas circles and outside is how well Coach K has dominated Coach Izzo over the years. The overall result has featured one win for Izzo versus eleven for Coach K in twelve meetings. This is a bit of a different scenario as Duke continues to show weaknesses defensively and has had a merry-go-round of minor injuries (Cam Reddish currently). 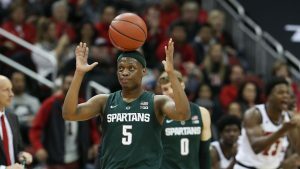 Henry was the target of Coach Izzo’s anger in round one’s back and forth matchup against Bradley. That may have lit a fire under Henry as he produced stellar numbers against LSU all across the board. Twenty points and six assists were both his season highs and Henry also pulled down eight rebounds. 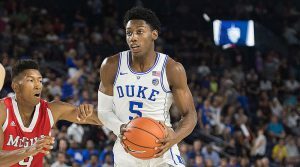 Duke’s defense has been extremely shaky which will give Henry plenty of opportunities on put backs and his own set plays. Defenses are starting to show an ability to hone in on Zion Williamson in the final ten minutes of the second half. 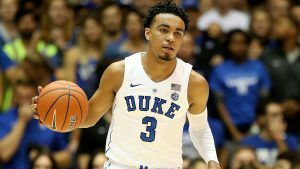 Two straight games the Blue Devils seemed to be on the verge of pulling away before lulls offensively nearly cost Duke advancing. 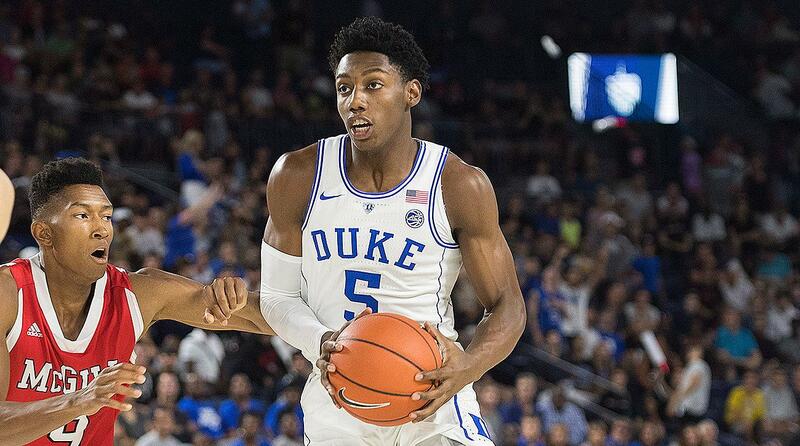 It was apparent that Duke wanted RJ Barrett to help Tre Jones facilitate half-court offense. Barrett tallied a season-high eleven assists against the Hokies but did not have offensive balance in the first half. Adjustments needed to be made and Barrett wound up scoring fifteen of his eighteen points in the second half. They’ll need his offensive aggression for a full forty minutes and likely will need to lean on his versatility as the prime scorer Sunday. It’s a shame that Auburn will be without their emerging star in Chuma Okeke. This puts a burden on the Tigers as they have to adjust in less than forty-eight hours against a conference opponent in Kentucky. Auburn was swept by the Wildcats this season and also suffered their biggest loss of the season to Kentucky (80-53). Washington’s decision to play against Houston was the difference in Kentucky advancing and being sent home. He made crucial plays on both ends of the floor and was extremely efficient with sixteen points in twenty-six minutes of action. He is obviously not one hundred percent, which is a cause for concern for DFS players. Yet he will face an Auburn team that lacks a true big man. He’ll have the same opportunities he had against an undersized Houston team. During the regular season Brown was the hit or miss type of player that would drive DFS players nuts. He could have a game where he was lights out and scored over twenty points or he could hit a wall with a single digit game. Yet he enters Sunday’s Elite 8 matchup having scored in double-figures in eight straight games. His production correlates with Auburn’s win streak of eleven straight games. Look for the senior in Brown to help uplift the Tigers and continue his double-digit points production.